ShopMissA $1 haul + new blog! ☆☆ – The little hearts actually rub off so that they are all the same basic bronze color. It’s not very blendable, not plush, and the shimmer isn’t very fine so it looks very unflattering on my face. 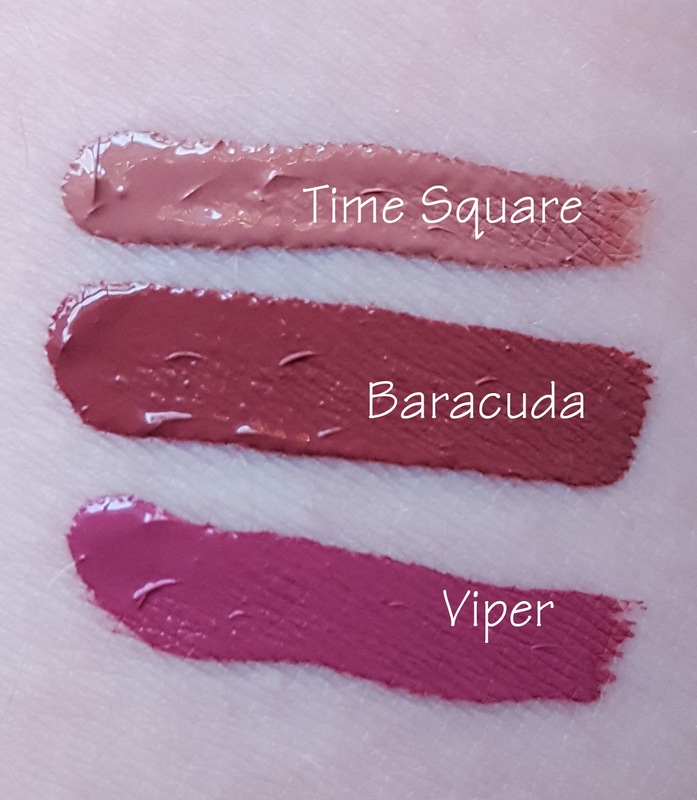 ☆☆☆ – The formula on these lipsticks is very waxy therefore to get the color to payoff like it looks on the tub you need to put on several layers, you can acheive a dark bold color though, so that’s a plus. I almost don’t mind the waxy base, I feel like it lasts longer this way. I wouldn’t wear these on a date but they would be super fun to play with for Halloween for sure. Pictured above is catalina. I haven’t gotten to try these yet! So excited though! I love nail stickers because I’m too lazy to do my own nails all fancy like. Haven’t tried these yet. They look gorgeous though! I’ll be using this for gel liner. I’ll let you know how I like it! I haven’t used these yet, but they feel very sturdy and not cheap or flimsy like sewing scissors. ☆☆☆ – I love eye palettes for my lazy days when I don’t feel like mixing and matching with 5 different pigment pots. These are lovely colors that go great together. My favorite is the bronzey shade. Unfortunately they don’t swatch very well on the skin. Pigmentation could be better but for a $1 palette I’m super satisfied. I have only used this once with foundation that wasn’t great and I haven’t tried it wet yet. Some people reviewed that they thought there’s was too firm but from my initial use I didn’t have a problem with firmness. ☆☆☆☆☆ – This is such a random purchase but it look awesome and I wanted it. Not disappointed haha. The pen part is actually really nice. Smooth gel ink from a very fine point. It’s not a bic pen. I really like this! ☆☆☆☆☆- I love this. It’s so pigmented and smooth and the color payout is gorgeous. I want to buy all of these. All. of. them. SWATCHES: Pictured are the Perfect Wear Eyeshadow stick in Golden Bronze and the Kleancolor Madly Matte Lipsticks in Raven and Catalina. $1 x 13 + $3.95 shipping = $16.95 So I didn’t love every single item from this haul, I’m A-okay with that. I have a bunch of items in my cart that I’m even more excited to try. They offer some $1 foundations that I think would be fun to review and I’m in love with their boho-style jewelry so I can’t wait to get my hands on some of that. Pin this post!